Registration for the 2019 FIRE Summit is closed. The FIRE Summit is a daylong experience designed to ignite Native youth, giving them a place to start dreaming while exploring their future academic possibilities. Middle school and high school students get to create and build relationships with college staff and faculty and other Native students while learning about possible career pathways. The FIRE Summit started as an annual event ten years ago. It has grown into a partnership between South Puget Sound Community College and the four surrounding tribes: the Nisqually Tribe, the Squaxin Island Tribe, the Confederated Tribes of the Chehalis Reservation and the Skokomish Tribe. For more information or questions related to the event, contact Shanon Millman, Director of Tribal Programming, SPSCC. 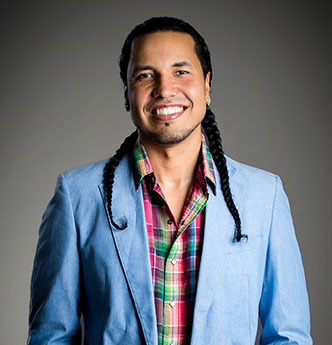 Gyasi Ross is a Native American speaker, author, and musician from the Blackfeet Nation. A mentor and luminary, he travels the country speaking on issues of race, historical trauma, social justice, privilege and their intersections with Native American culture. Ross' unique and authentic form of storytelling brings forward a vital message of hope, resilience, and purpose. Award recipients will be announced and notified in early June 2019 to be awarded in time for Fall 2019 enrollment. Acquire two letters of recommendation. Answer the FIRE SUMMIT question in the Supplemental Questions section of the General Application. Upload all documents to the online General Application. Check your college email address for award announcements once the application cycle closes.